Your Kingdom Come, Your Will be Done! 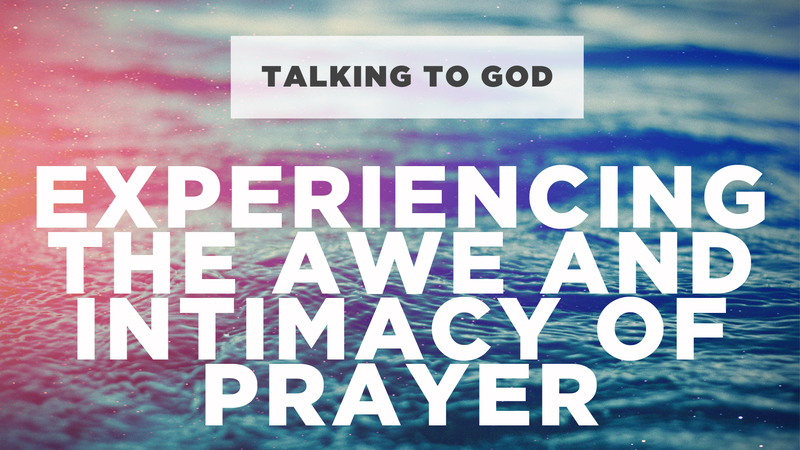 Here are the sermon notes from week 3 of our series called: Talking to God. Click here to listen to the podcast of this message. Matthew 6:9 … “Our Father in heaven, hallowed be your name. 10 Your kingdom come, your will be done, on earth as it is in heaven. 11 Give us this day our daily bread, 12 and forgive us our debts, as we also have forgiven our debtors. 13 And lead us not into temptation, but deliver us from evil. For yours is the kingdom, and the power, and the glory forever. Amen. You can have a problem before you have a symptom. We ask God to so fully rule us that we WANT to obey him with all our hearts and with joy. One well known prayer says it like this: “Grant us grace to bear willingly all sorts of sickness, poverty, disgrace, suffering, and adversity and to recognize that in this (difficulty) your divine will is crucifying our will.” We don’t understand it, but we trust. Jesus prayed this exact prayer in garden of gethsemane. This is why we trust him. Jesus doesn’t ask us to do anything that he hasn’t already done for us. Without trusting God, we try to take God’s place and seek revenge on those who have harmed us. However, We are protected from character assassination, slander, backbiting only if we lwarn to commit ourselves to God. Thy Will Be Done gives us peace. If not, we feel compelled to try to control people and control our environment and make things the way we believe they ought to be. Thomas Cranmer(burned at the stake) said, “May we obtain all you have promised May we love all you have commanded” Martin Luther, “May your future kingdom be the consummation of what you have begun in us.” The beginning of prayer is all about God. We are not to let our own needs and issues dominate prayer, rather, we are to give pride of place to praising and honoring him, to yearning to see his greatness and to see it acknowledged everywhere, and to aspiring to full love and obedience. God centeredness comes first because it heals the heart of its self-centerness, which curves us in on ourselves and distorts all our vision. Posted on February 23, 2015, in Sermon Notes, theology and tagged matthew 6:10, sermon notes on prayer, sermon prep, thy kingdom come sermon notes, thy will be done, timothy keller book prayer. Bookmark the permalink. Leave a comment.